BRUSSELS, Belgium -- The alleged growth in government influence over the media, together with political interference by the secret services and the rushed adoption of new election rules that are seen as a backward step, are among concerns voiced by MEPs in a resolution on Ukraine passed on Thursday. Under EU treaty rules, Ukraine has a right to apply for membership of the EU. It has “a European perspective with strong historical, cultural and economic links to the European Union”, stress MEPs, who give firm cross-party backing to Ukraine’s EU membership aspirations. At the same time, the resolution criticizes “increasingly worrying signs of a lessening of respect for democracy and pluralism” in Ukraine. MEPs are deeply concerned that media freedom and independence have come under pressure in recent months and draw attention to the disappearance of the editor-in-chief of a newspaper that focuses on corruption. They also call for an investigation of the Ukrainian USB Security Service, its politicization and possible “interference in the democratic process”. MEPs admit that the local and regional elections of 31 October were conducted “technically in an orderly manner” but nonetheless note that they failed to guarantee the parties’ right to compete. Due to a change in the electoral law just before the elections, many registration requests by opposition parties were not accepted, resulting in a massive victory for the ruling party in 85% of the constituencies. Despite their criticisms, MEPs agree that Ukraine continues to be a key partner with significant influence on the security and stability of Eastern Europe and that it also plays a pivotal role in the EU’s energy security. Here Parliament calls for further agreements to secure energy supplies, although it notes that for these to be concluded, Ukraine needs to modernise and diversify its gas transportation network. MEPs welcome progress made at the 22 November EU-Ukraine summit towards concluding an Association Agreement and the setting up of an Action Plan for visa liberalisation for Ukraine. Such a roadmap can help Ukrainians to consolidate the rule of law and respect for fundamental freedoms, MEPs believe. The 2012 European Football Championship could also be an opportunity to introduce special measures to facilitate travel by ticket holders, and could be used as a testing period for a final visa-free regime, they suggest. In the meantime, EU countries are urged to abolish visa fees for Ukrainians. The resolution was drafted jointly by the EPP, S&D, ALDE, ECR and GUE/NGL groups and adopted by show of hands. In May 2010 Parliament gave its green light for a €500 million EU loan to Ukraine. 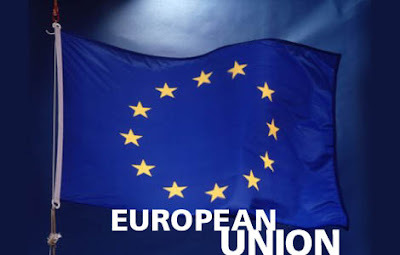 The country has a partnership and co-operation agreement with the EU (in force since 1998) and is currently negotiating a closer association agreement, to cover political, trade, social, cultural and security assistance.